The Teledex I Series combines a fresh new look with legendary Teledex qualilty and reliability. Suitable for virtually any type of hotel, the I Series boasts graceful, sculpted curves that accent a comfortable, familiar user interface. Modern, tech-inspired lines surround what’s inside: the industry’s most reliable, feature-rich telephone. The Teledex I Series was the original small footprint telephone built specifically for hospitality guestrooms. These phones feature elegant aesthetics and patented technology, creating the ultimate guestroom telephone ideal when space is limited. 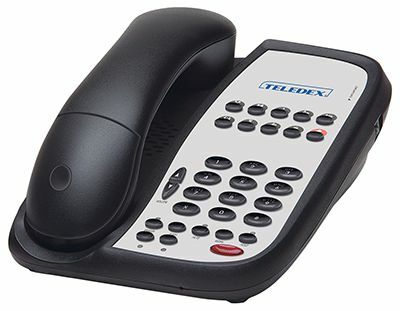 Click on the links below for model information on Teledex I Series Cordless Hotel Phones. The Teledex I Series is flexible enough to fit your needs. Available with up to ten guest service buttons, in single or two-line models, and with or without speakerphone.